Opendaylight is an Openflow Controller originally forked from David Erickson’s Beacon controller. Many network component vendors are now contributing to this controller. 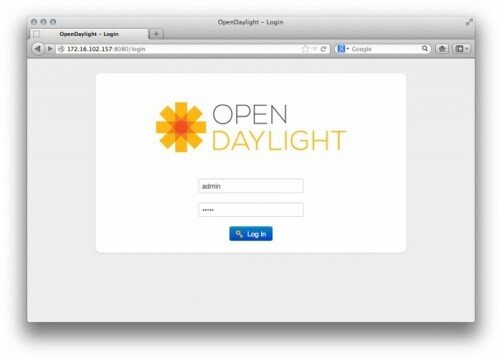 To install Opendaylight (version Hydrogen) on Ubuntu (and other Linux flavors) you need to get the source from http://git.opendaylight.org/gerrit/p/controller.git . Then open a console and start the controller with the commands – do no run the controller as root ! Now the controller is running. The controller is listening on many TCP ports (8383, 33343, 12001, 60601, 6633, 47914, 7800, 6633) and the port 8080 — to be used to connect to the opendaylight controller using a web browser. Connect to http://127.0.0.1:8080/ . user=admin and password=admin . Port 6633 ist the port for network components running then Openflow protocol.